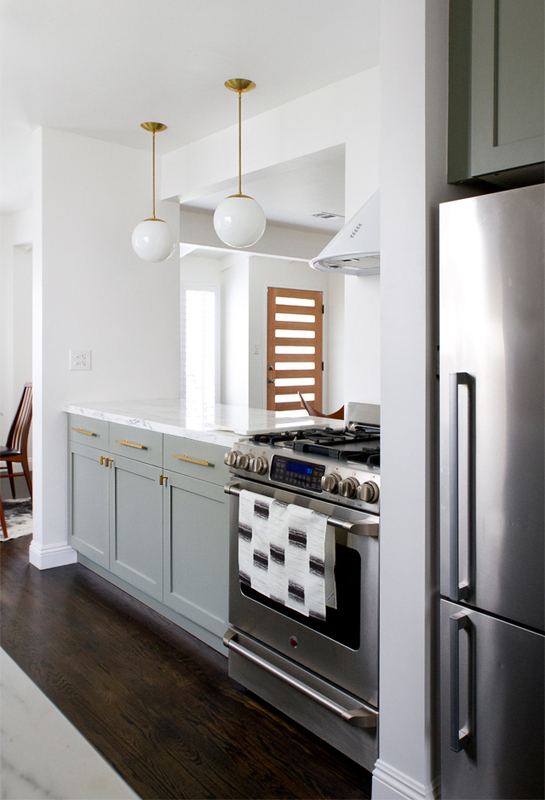 We just wrapped up our Touch Gold Kitchen Remodel and went two-toned with our cabinet color choices. We chose Sherwin Williams Extra white for the wall cabinets and Sherwin Williams Iron Ore for the island. Clearly we love this trend. 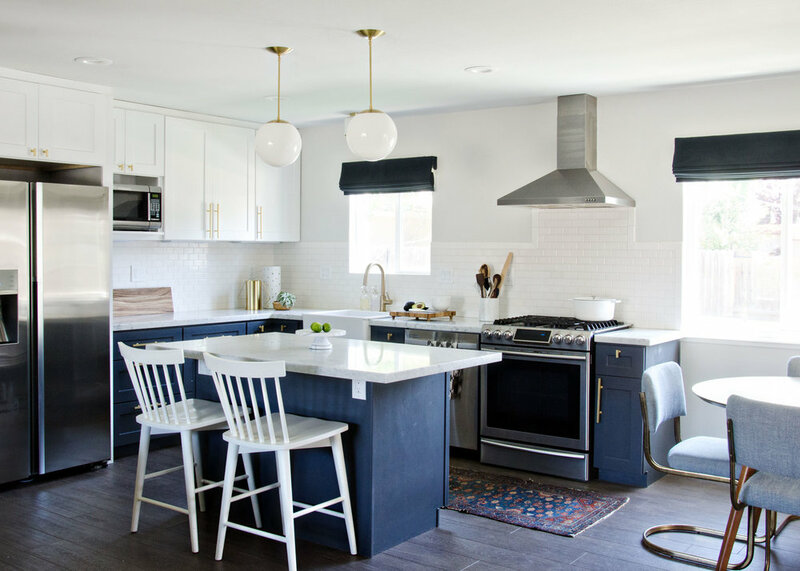 The contrast of a two toned kitchen adds visual interest and keeps your design from feeling too predictable.Today we’ve rounded up our favorite inspiration for two-toned kitchens. 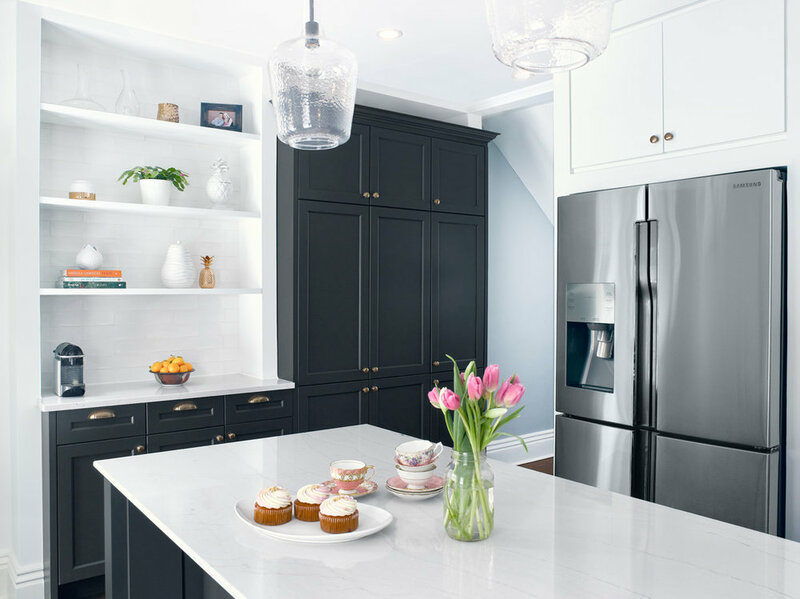 One of our favorite approaches to two toned cabinets is a darker shade on the lower cabinets and a lighter shade on top. You'll see this approach in these next few inspiration photos. This works because it allows you to make a statement using a bold color on your lowers and simultaneously helps ground the space. It can also make a space look larger because the lighter shade on the upper cabinets will help draw the eye up. PRO TIP: If you have short ceilings, this is a great option for you. Team the lighter uppers with a smaller tile all the way up to the ceiling and you will feel like those 8ft ceilings are now 9ft or 10ft! I love the warmth of a natural wood stain with a bold color choice as Julie Howard used above. 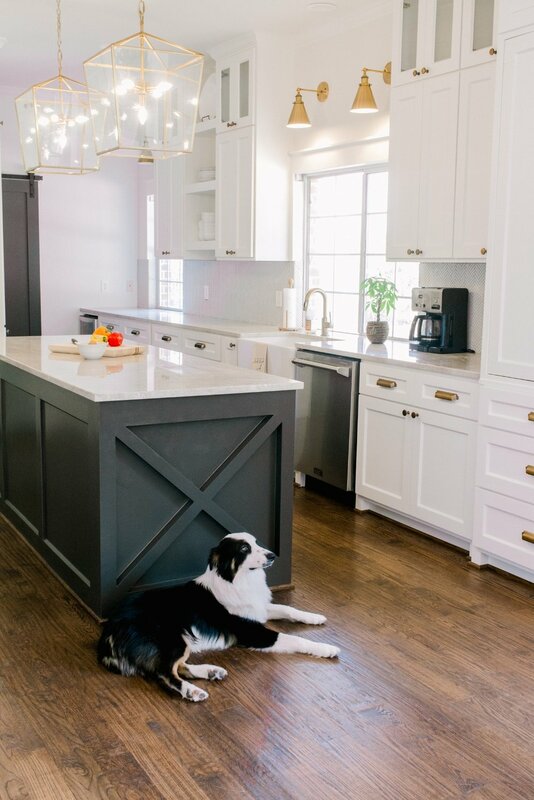 The wood island is so classic in such a bold space. 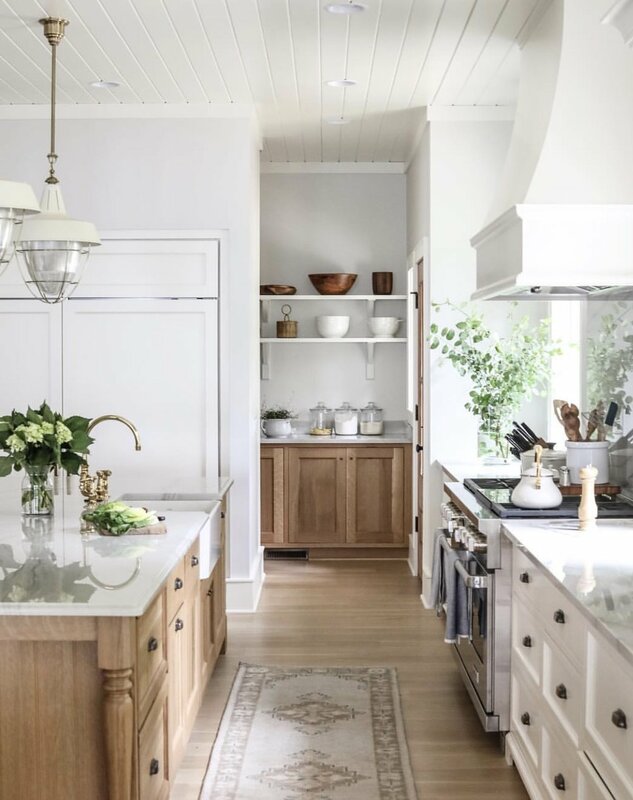 One of the most common ways for someone to get in on this trend is through choosing one set of cabinets to become a focal point for the space. 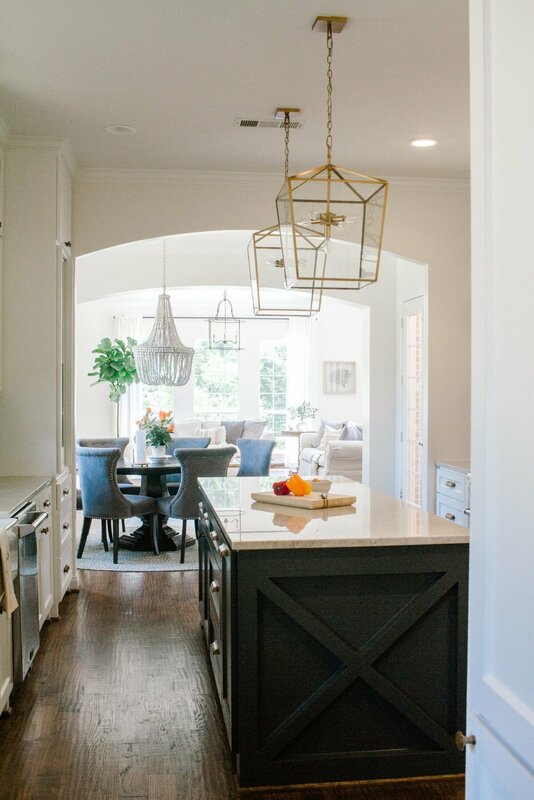 In this case, a kitchen island is usually chosen because of its central spot in the layout. This was the approach we took in our Touch Gold Kitchen similar to what you see in the kitchen Amber Interiors designed above. 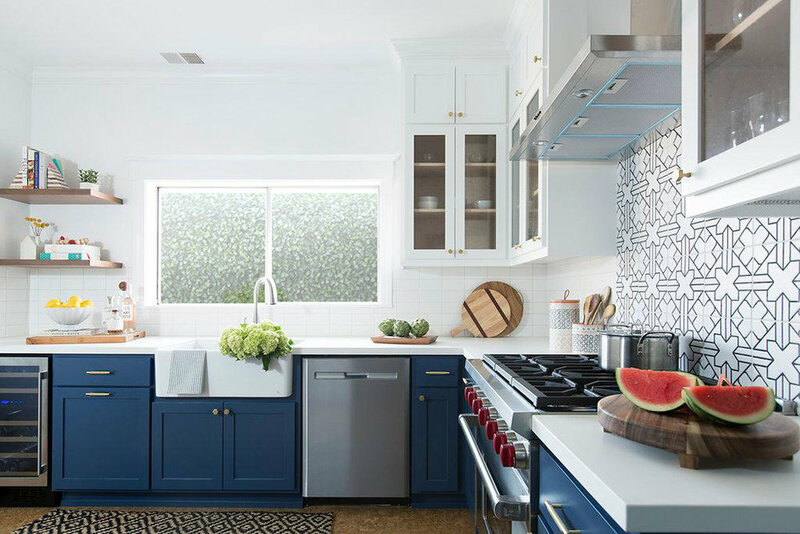 Another approach to two toned cabinets is to chose one BOLD color like the beautiful blue Erin King used above and team it with something more neutral and easy on the eyes. This method makes a risky bold color choice not so scary. 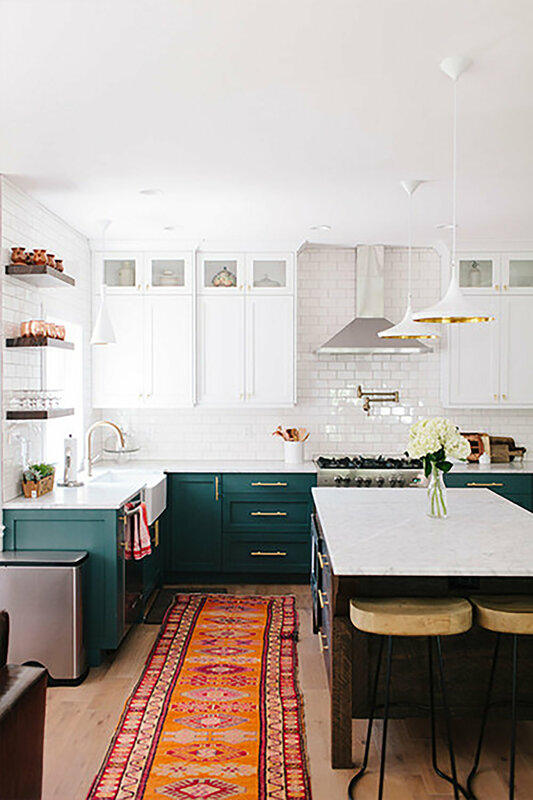 I'm loving the green Ali used below as well—so bold yet so inviting and homey. 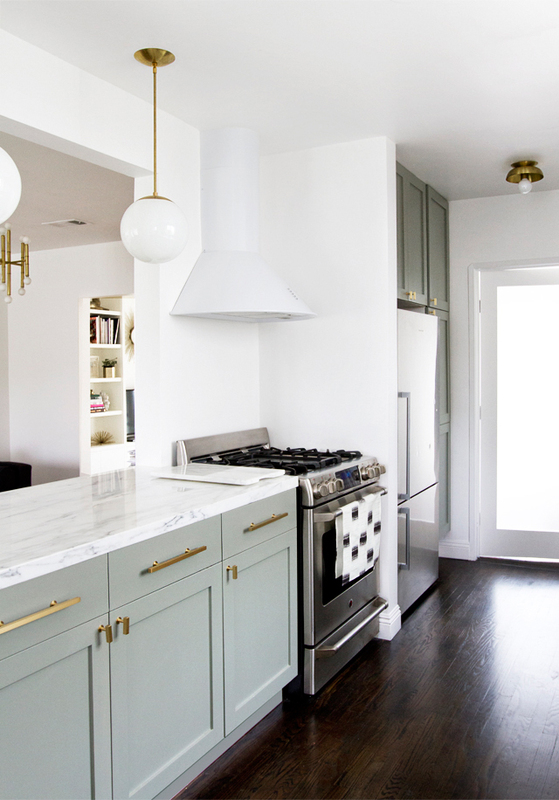 What do you think about a two toned kitchen? What color choices are you most inspired by? I’d love to hear in the comments below.